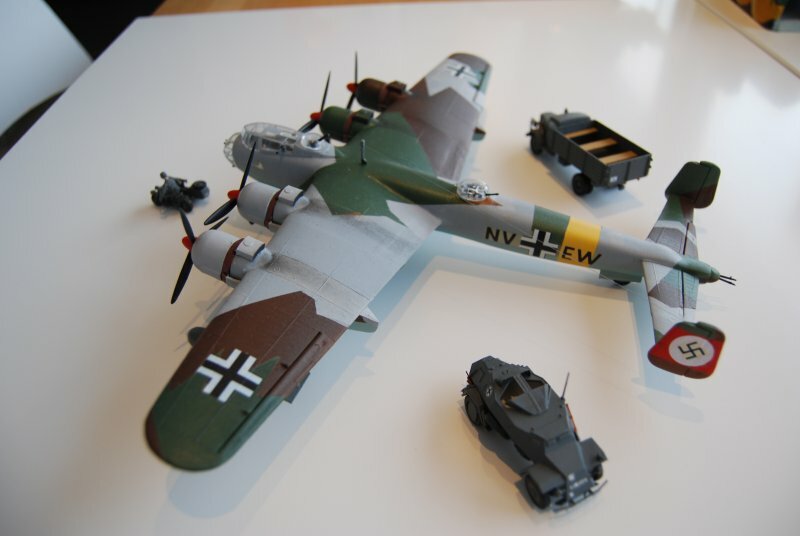 In the 1930s, the German "Uralbomber" project resulted in two bomber prototypes, the Dornier Do 19 and the Junkers Ju 89. Of both of the four-engined bombers only one prototype was build and tested before the project was stopped. After this first attpemt, no futher plans were made to build a strategic bomber in German until the second half of World War II. 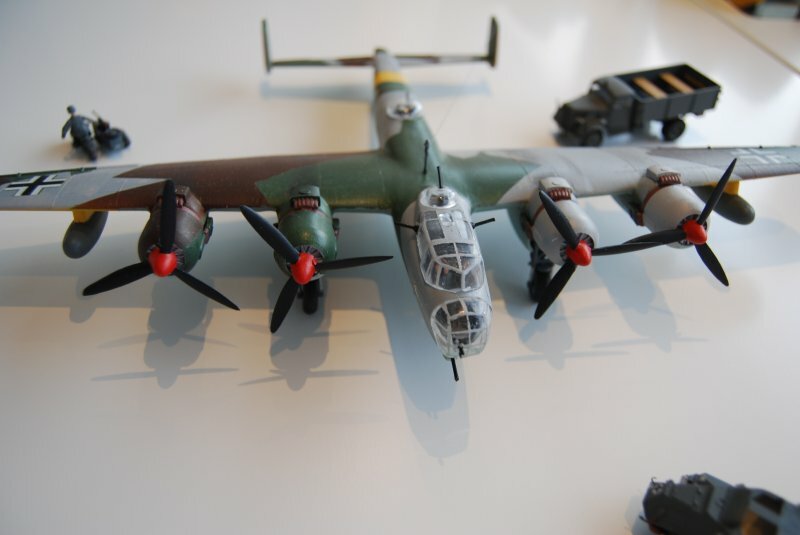 Instead, Germany concentrated on larger numbers of medium bombers like the He 111 or Ju 88. 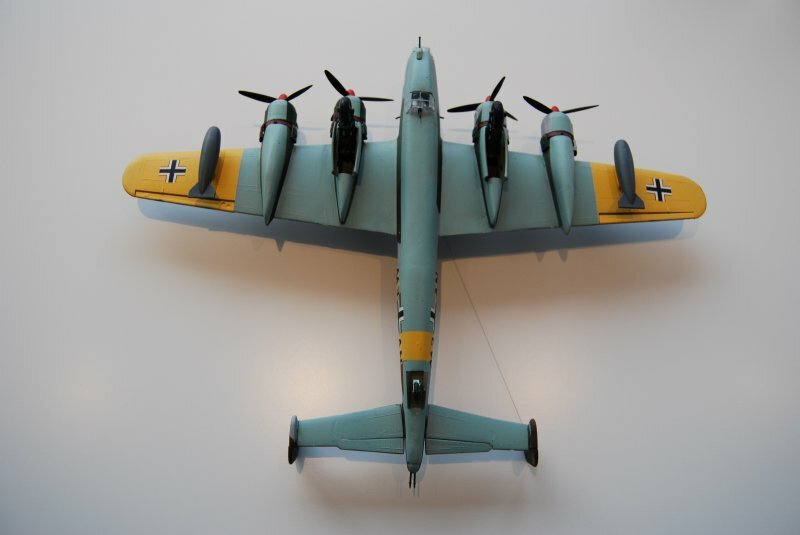 While constructing the Dornier Do 19, it got obvious to Dornier technicans that this plane would not have the perfomance to survive against the threads of modern air warfare. 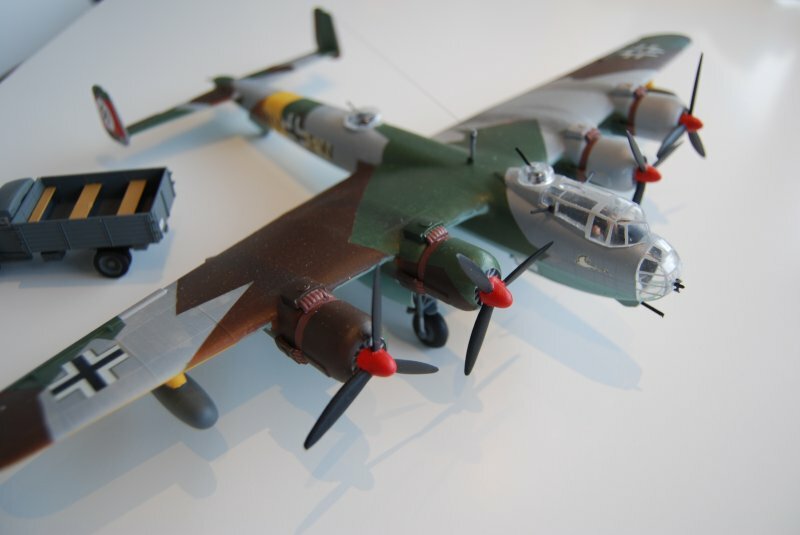 Therfore - without having a construction order of the RLM - Donier investigated how a more capable bomber could be build based on the current mdeium bombers being under development. The base model choosen was the Dornier Do 217. 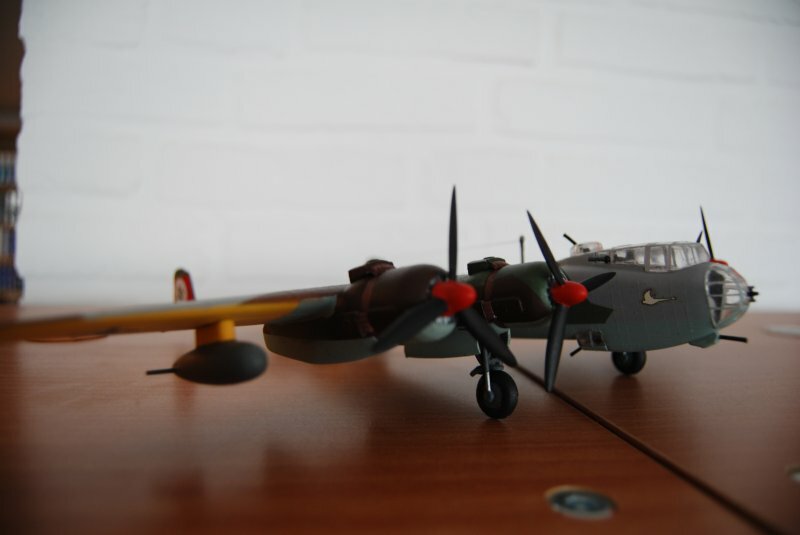 With enlarged wings and hull, the new model - designated Dornier Do 218 - was equipped with four Jumo 211B engines. The enlarges hull allowed to add additional defensive armamamnet, more fuel and a slightly higher bomb load than the original Do 217 model. Construction of the Do 217 and Do 218 prototypes were made in paralell and while the Do 217 had its maiden flight on October 4th 1938, the Do 218 followed two and a half weeks later. Test flights showed that the Do 218A model lacked a bit in flight stability due to the original tail fins, therefore those were enlarged for the Do 218B variant. Besides this, flight performance a a bit better than the smaller Do 217, combined with a higher range and 25% bigger bomb load. The common usage of many construction parts speeded up development of the Do 218 and production started in smaller numbers in early summer of 1939. 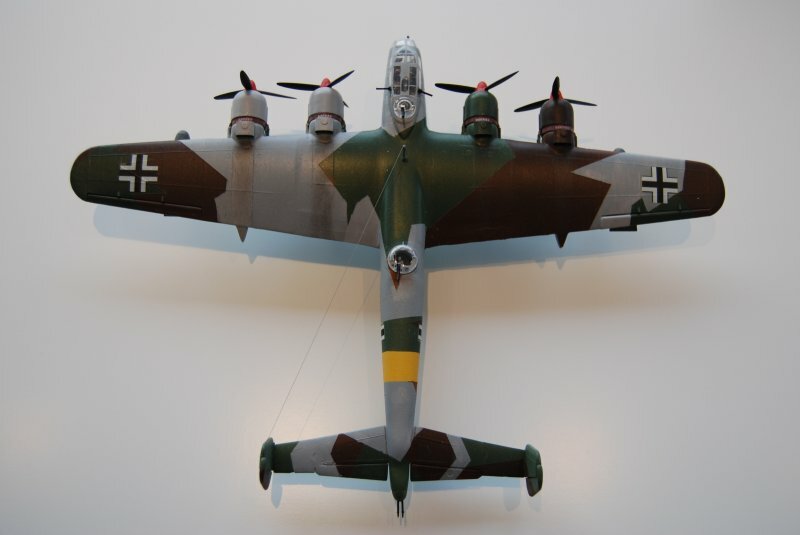 The first operational Bomber Gruppen in the Luftwaffe used the Do218A by spring 1940. In summer, about 30 of those planes were ready to be used during the Battle of Britain. Due to their longer range, the Do 218 wasm ainly used to attack targets which were beyond the range of other Luftlotte 2 aircraft. However, they were also used for attacks to Royal Airforce airfields in southern England. With its heavier armament, the Do 218 was not so vulnerable to attacks of British fighter planes, but the operations during the Battle of Britain showed that the pölane would run into trouble when engaged by larger numbers of modern fighter planes. 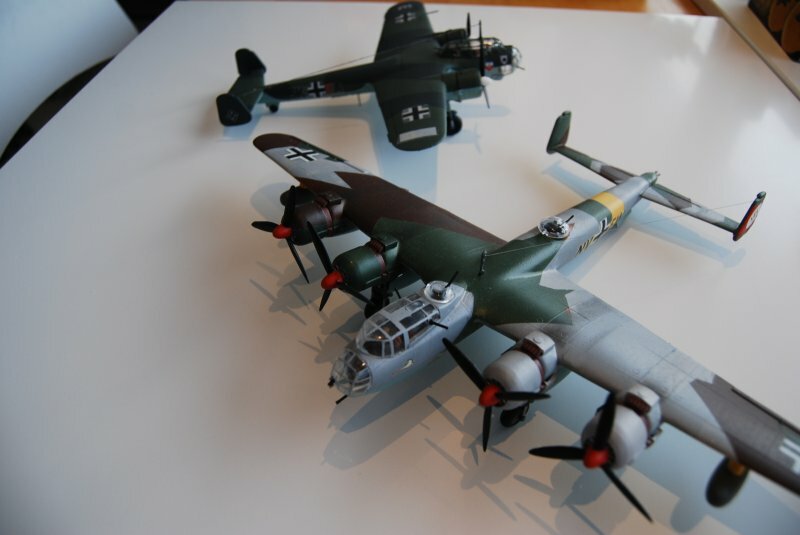 The production of the Do 218 was continued until late 1942 then the Heinkel He 177 was introduced. Until then, 837 Dornier Do 218A, B and C were build. For a short time it was considered to re-start production when the engine problems of the He 177 got too obvious, but as the original design of the Do 218 was too outdated by that time, production was not re-opened. At the end of the war, most existing Do 218 were put out of service or scrapped to re-use the material. 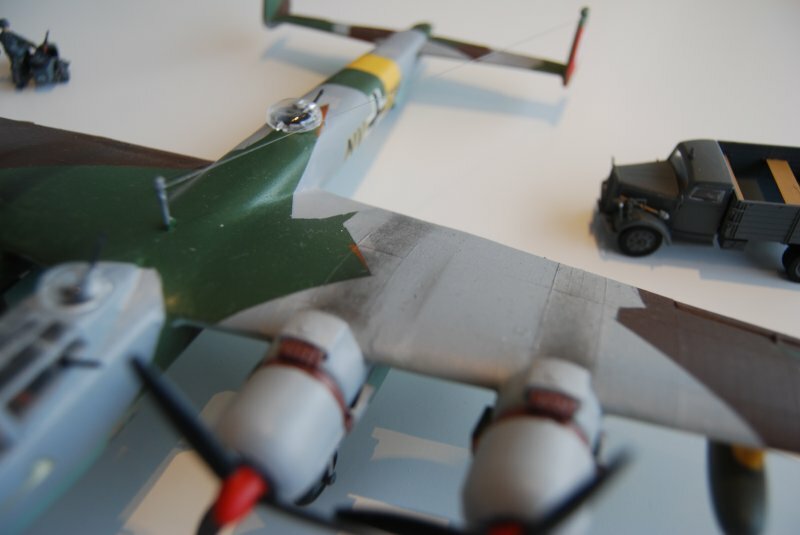 The model shows a Dornier Do 218A in a retro camo scheme in October 1938. 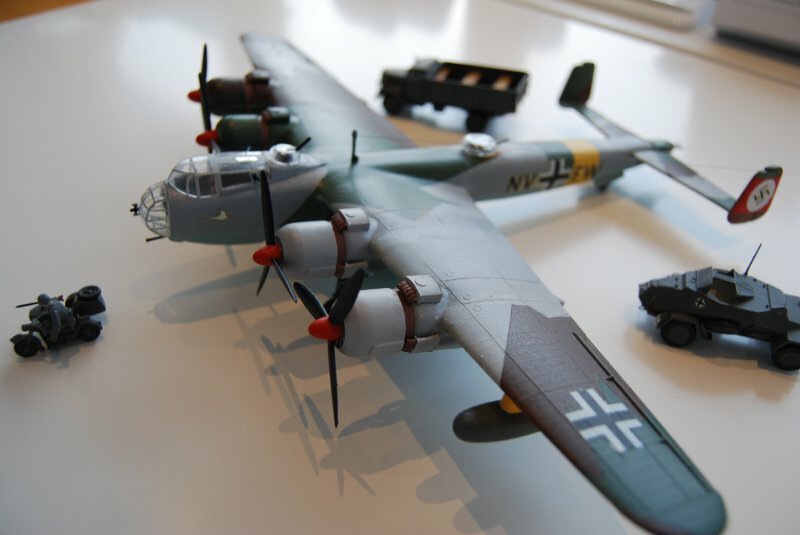 The model was made using two old Airfix 1/72 scale Do 217 kits. 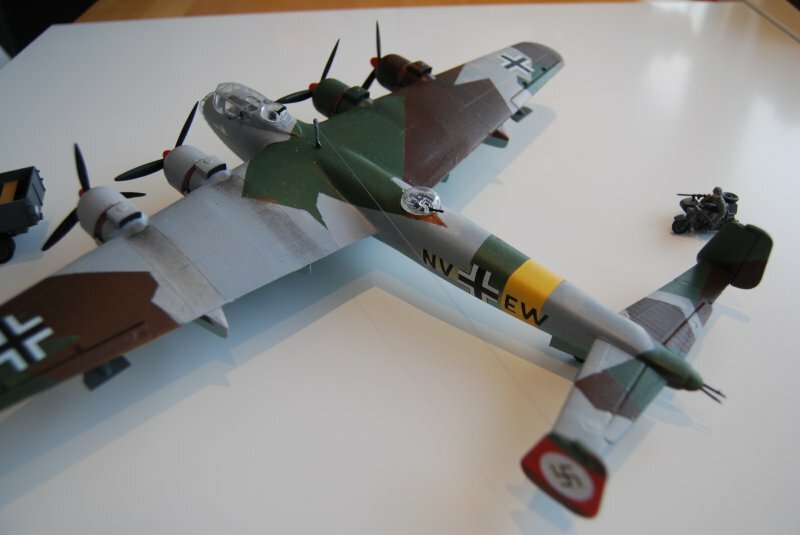 The wings were enlarged by adding the inner wings of the second Do 217 kit to it. The hull itself was streched with plastic parts and a lot of putty. The second gun position on the hull was made using parts of a Revell He 177 kit. Cockpit, landing gear and tail fins were made using the original Do 217 parts. 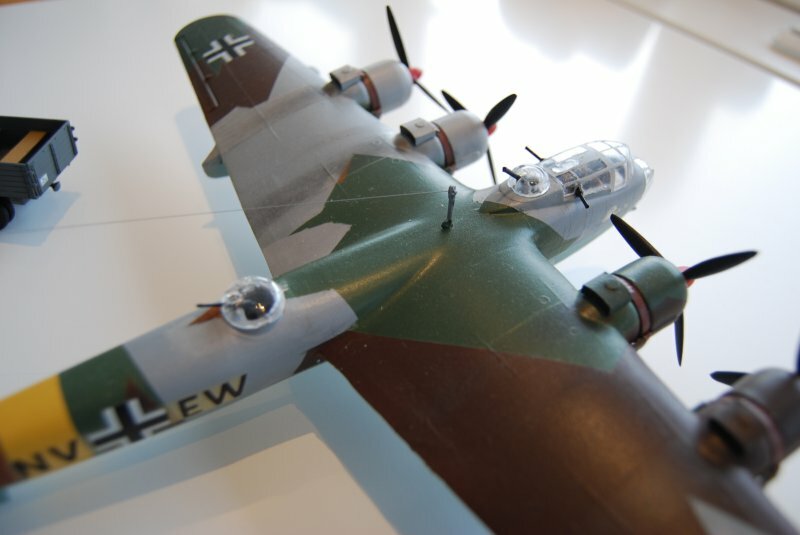 The model was airbrushed with Revel Aqua Color colors and the decals were taken from an old Italieri Ju 86 kit. Great job! simply briljant work. Great story, well developed and well executed! Both the wholly believable backstory and the model itself, excellent stuff indeed. Excellent. The camo scheme is particularly fine. Really, really good build. So much so I find it more convincing than many of the actual Germa 4-engined bomber designs. I've enjoyed watching this build come together. Thanks . Beautiful camo scheme, really pulls the aircraft together. I've always liked the early schemes with the bold red banner on the tail. So much so I find it more convincing than many of the actual Germa 4-engined bomber designs. Very nice. I really like the look of it, especially from above and below, just looks muscular. yes - great job. You have done well. Very good job on that massive thing! A formation of those roaring overhead should be enough to scare the heck out of anyone!